Fireworks – Fireworks have many chemical compounds inside them, which create the flashing spectacle. One of the major components is an oxidizer. Potassium perchlorate is perfect for this as it is quite affordable. Stars and Sparklers – Stars and Sparklers that use a combination of chemicals such as a potassium perchlorate oxidizer burn very slowly. This slow burning often contributes to the sparkling of stars and sparklers, which are separate components of many popular fireworks. Stars have a wide range of colors and sparklers have a twinkling effect. Pyrotechnics – Advanced pyrotechnics that use potassium perchlorate can create spectacular effects and remain more affordable and safer than other oxidizers and explosive components. The chemical is relatively safe to handle when proper care is taken and can be measured to the exact specifications for each pyrotechnic application. Ammunition Percussion Caps – It is common for potassium perchlorate to be used for percussion caps. Since it is a pressure sensitive combustible chemical oxidizer, it is very useful in the percussion cap design. 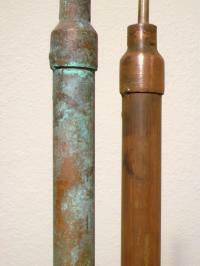 Percussion caps can be used in cartridge form, grenades, rocket propelled grenades, and as the ignition device in rescue flares. Explosive Primers – Explosive primers in a container that has an adequate amount of oxidizer (such as potassium perchlorate) are suitable for igniting additional chemicals and starting reactive explosions. They are generally used in small to large scale explosives that have very few dud ignitions when ignited. Propellants – When an oxidizer such as potassium perchlorate is mixed with an agent such as sugar, epoxies or other components that control the rate and direction in which the chemical burn expels can be used as propellants. All types of propellants, from low power used for fireworks to larger applications such as rockets for missiles, can be made with the right mixture of additional components. Flash Compositions – potassium perchlorate and combustible metals produce flashes when they are ignited. They are often known as flash powders and have a variety of uses. Historically, they have been used in theater and as a camera flash for photos taken in dark rooms before the invention of the electrical flash. Thyroid Medication – potassium perchlorate has a property that can be used to treat hyperthyroidism. When combined with another medication, thyroid problems are well controlled. The ionic radii of potassium perchlorate are similar to that of iodide and other perchlorates that are used for managing thyroid response. Since potassium perchlorate is an organic salt and is a highly oxidizing agent, it reacts easily with a wide variety of organic compounds. This makes it an ideal oxidizer, especially for ignition purposes. This is particularly so with organic compounds such as glucose, which helps the combustion process create Carbon Dioxide, water, and potassium when oxidation occurs. The rapid conversion of solid glucose or another organic material into a hot gas allows potassium perchlorate to become explosive. This holds true with unrefined sugars as well, as cane sugars still provide a low explosive strength when mixed with potassium perchlorate. To make it an explosive, the mixture must be restricted in a container that causes it to expand during oxidation and combustion, overwhelm the container, and release the pressure explosively. When outside of a confined space, the mixture tends to oxidize rapidly and create a large flash. Potassium tends to burn with a purple flame when mixed into a potassium perchlorate compound. Oxidation occurs quickly, resulting in a pale purple color. This may go unnoticed as combustion occurs within milliseconds. When aluminum is added to Potassium Perchlorate, a quick flash occurs. An intense white light is added when burned. Potassium perchlorate can be mixed with sulfur, but potassium chlorate cannot because the chemical reactivity between it and sulfur is high. Perchlorates need more of a boost to oxidize, thus slightly less dangerous when mixed with organic minerals such as sulfur. This is because chloric acid, which chlorates produce, is much more unstable than a perchloric acid that perchlorates produce. 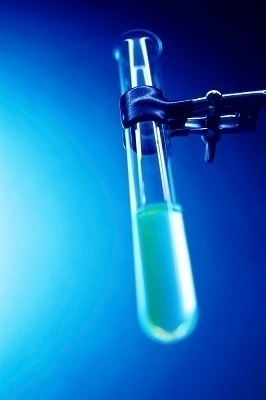 Perchloric acid is actually quite stable and requires a boost of energy to cause a reaction. Potassium perchlorate can be created through an industrial process where a solution of sodium perchlorate and Potassium Chloride is processed. With the proper ion exchange, exploitation of Potassium Perchlorate’s low solubility occurs at a level that is many times lower than that of sodium perchlorate. Potassium perchlorate has the lowest solubility of all the alkali metal based perchlorates. The solubility is equivalent to 1.5 grams of the chemical dissolving into 100 milliliters of water at 25 degrees Celsius (77 degrees Fahrenheit). Potassium perchlorate can be purchased from a wide array of chemical retailers or can be created through chemical reactions. Small amounts can be yielded when the proper mixture of sodium perchlorate is combined with potassium chloride. Of course, the amount of purified potassium perchlorate cannot really be quantified without equipment that can measure and separate the actual chemical through electrolysis. The chemical is so popular that it can be purchased relatively cheaply. Those who use the chemical benefit from its low cost production and the fact that it can be shipped carefully and cheaply. Homemade fireworks and projects that require it are simple to complete and require low cost materials. This means that the overall cost for the chemical and its uses are likely to be cheap, which makes using it quite attractive. Although Potassium Perchlorate is highly dangerous when used incorrectly, it is much less dangerous when compared to ammonium perchlorate, which is much more labile. This means that it is less likely for Potassium Perchlorate’s chemical structure to change unless forced to. 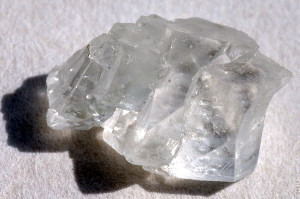 On the other hand, ammonium perchlorate can easily cause an accidental discharge because exposure to other elements and the environment can cause it to change chemically. 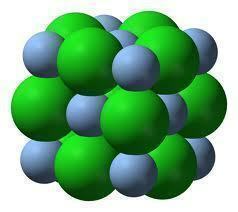 Perchlorates are generally not toxic to the body and internal chemical processes rapidly remove it from the system. This makes it very difficult for a perchlorate such as potassium perchlorate to poison anyone unless very large quantities are deliberately ingested, which would probably not occur by consent. 236 queries in 0.567 seconds.